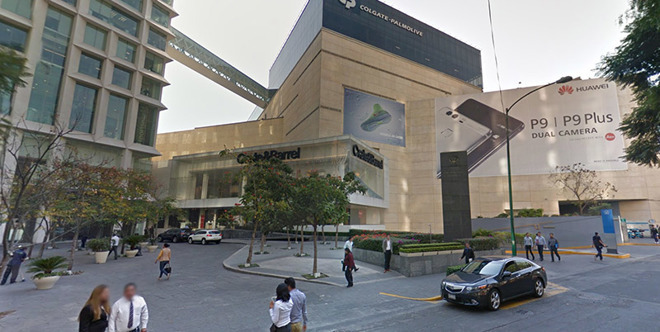 Just over six months after opening the doors to a store in Mexico City last September, Apple has signed the lease to a second location in Ciudad de Mexico (CDMX), according to a person familiar with the matter. Contrary to speculation, the Cupertino tech giant will take over a large space in Antara Fashion Hall recently vacated by Crate & Barrel, the source said. The multi-level outlet is more than twice the size of Apple's current store in Centro Santa Fe mall's high-end Via Santa Fe wing. It is unclear when Apple intends to begin reworking the new outlet, as photos of the area show an empty store awaiting renovations. When construction is complete, the interior design is expected to closely mimic that of Apple's World Trade Center store in New York City, which opened its doors to customers last August, the person said. Like other store projects accomplished under retail chief Angela Ahrendts, the WTC location features high-flung illuminated ceilings, a 37-foot custom-built TV screen, custom wooden cabinetry for accessories, iconic wooden display tables and space for in-store classes. As a multi-level outlet, Antara might split the Genius Bar, retail and meeting space between floors, akin to layouts seen in the U.S. and UK. A timeline for completion is not currently known, but the existing Mexico City store has experienced unusually high consumer sales and enterprise services revenues, the person said. Industry watchers expected Apple to open its second CDMX location along Avenida Presidente Masaryk, a stretch of road in the posh Polanco district known as a luxury shopping destination. Masaryk Avenue is often compared to well-known and affluent shopping meccas such as Fifth Avenue in New York or Rodeo Drive in Los Angeles. Positioned three blocks north of Masaryk Ave., Antara Fashion Mall is centrally located, flanked by landmarks like the Museo Soumaya and Museo Jumex. The two museums are located in Plaza Carso, a gigantic mixed-use development that includes a shopping center, three office towers, a cinema complex and three apartment buildings. 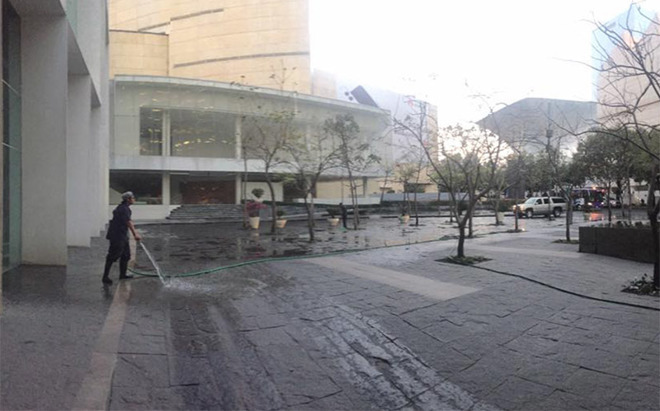 Apple's future spot in the Antara mall is directly opposite Museo Jumex. With both street and mall access, as well as a large two-story facade overlooking Boulevard Miguel de Cervantes Saavedra, the space is similar in scope to other international Apple flagships, especially those recently opened in China. Beyond Mexico, Apple is exploring leases in Argentina as part of a broader push into Latin America. Apple is looking to sign sometime in fiscal 2019, aligning with rumors claiming the company would open its first Argentinian outlet in Buenos Aires in 2018. Apple is also mulling an expansion in Brazil. Company officials will determine whether to open two additional stores in the country, including a flagship in Sao Paulo, at the end of 2017, the person said. Currently, Apple operates two brick-and-mortar stores in Brazil.